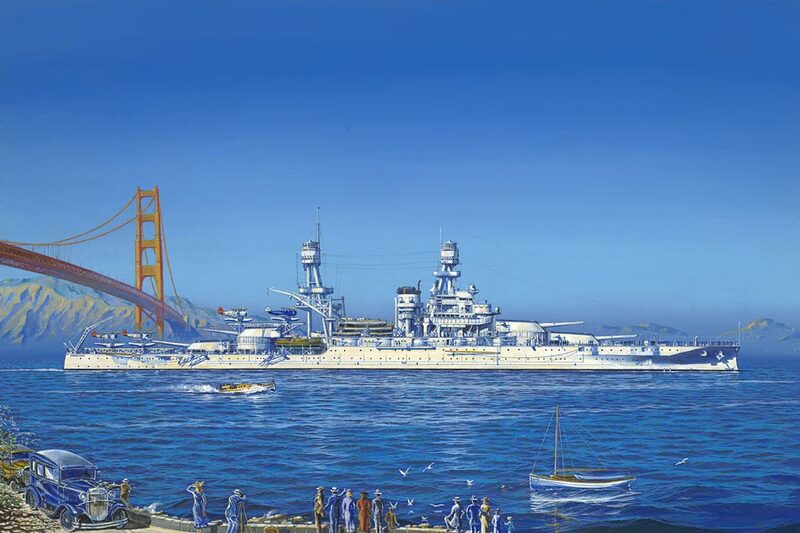 Painting of USS Pennsylvania near the Golden Gate Bridge, 1937. In this painting flagship USS Pennsylvania, heading the US Navy Fleet, is portrayed passing beneath the newly completed Golden Gate Bridge in San Francisco as part of the opening ceremonies in 1937. Nearby onlookers along the banks can be seen taking in the view of the spectaculer super-dreadnaught warship as she passes by.